Merced could potentially be the least vegan-friendly city I’ve visited in a long time. Maybe I’m spoiled by the fact that I live in the SF Bay Area or that most of my travels take me to bigger cities, but I couldn’t find a single vegan restaurant in downtown Merced, and considering that it’s a college town, this surprised me quite a bit. Since I wasn’t having much luck in town, I decided to eat on the UC Merced campus. There are 2 places to get food near the dorms that I was visiting: The dining hall and the Summits marketplace. Here are some of the vegan foods I found in the marketplace. These are one of my favorite kinds of chips. 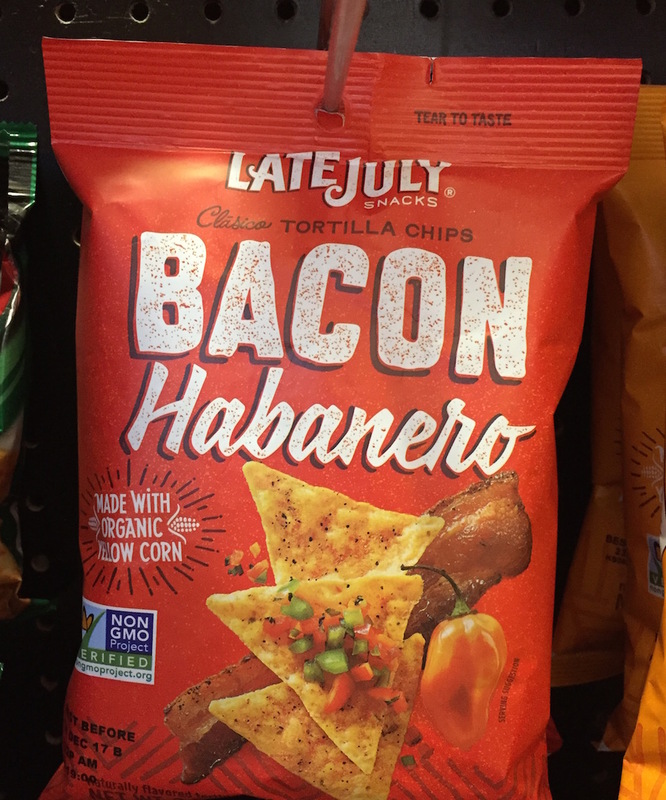 I usually eat organic food, so doritos isn’t something I would normally purchase, and I feel like these bacon habanero chips from Late July are the closest to healthy doritos that I have found. 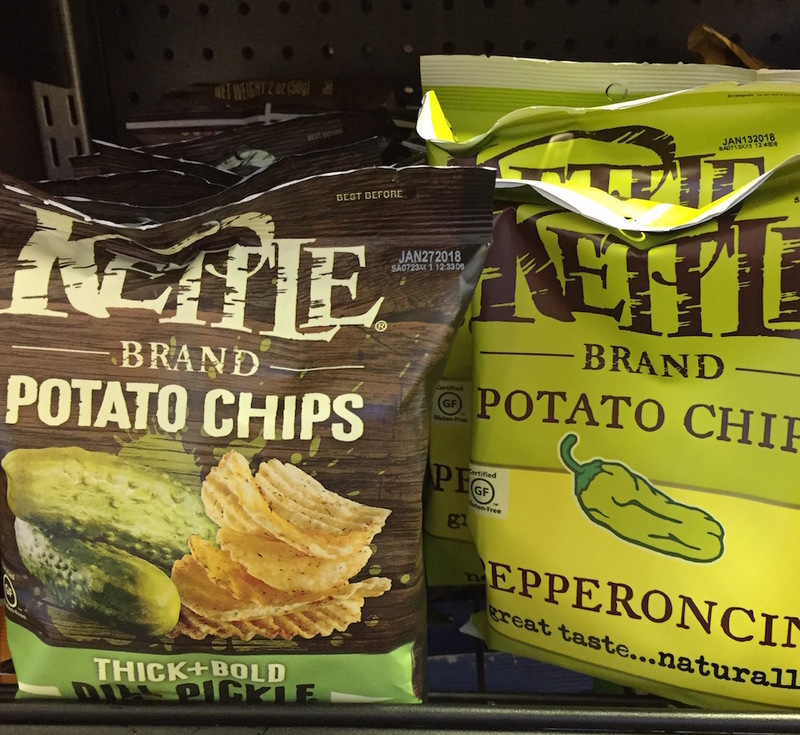 Some of my other favorite types of chips are made by Kettle chips: dill pickle chips and pepperocini chips. I also like the salt & pepper ones and the chili lime ones from kettle. 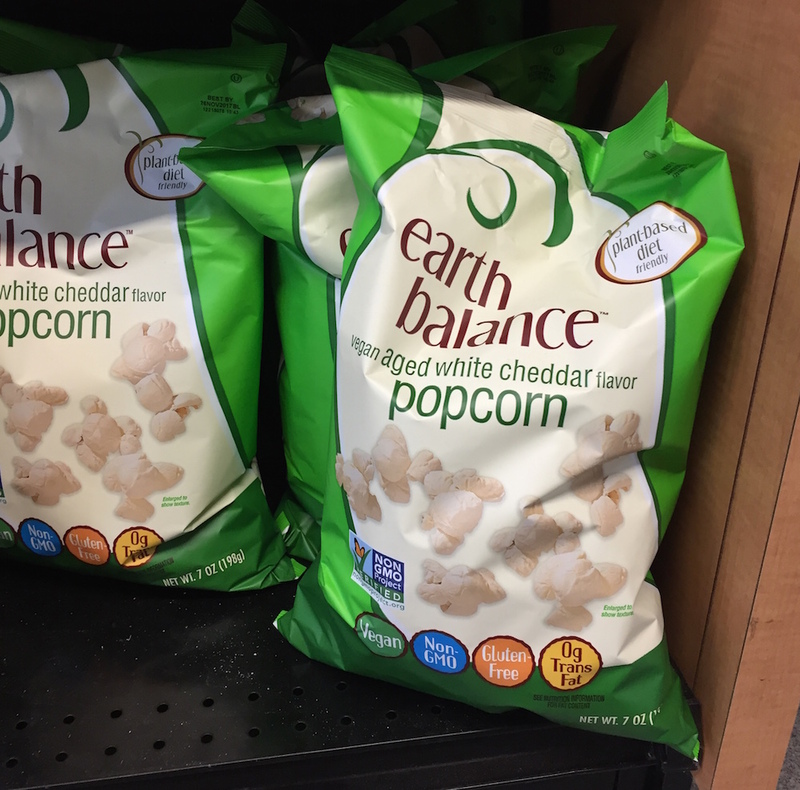 If you haven’t tried this popcorn from earth balance, you should. I also recommend their cheddar squares (which are like vegan cheese-itz). 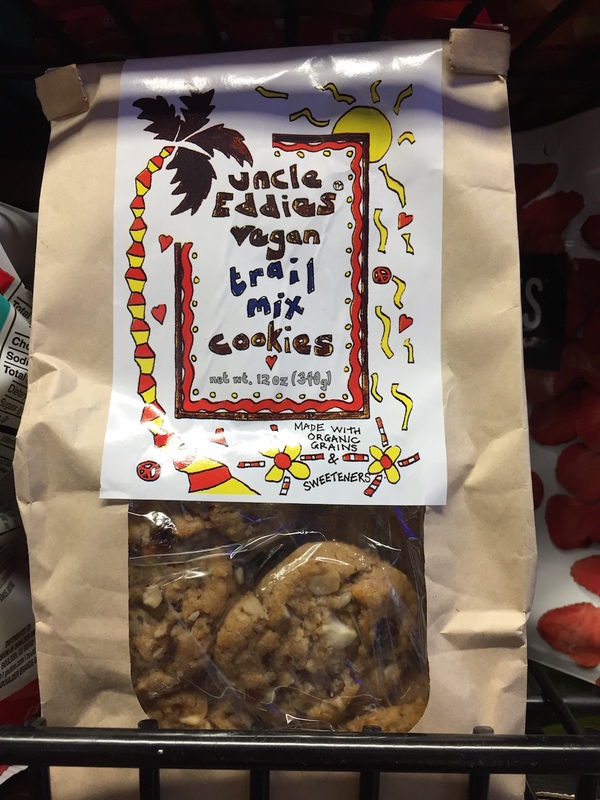 Uncle Eddie’s has been making these vegan cookies for a really long time. They’re super good and remind me of a cookie I used to eat when I was little called soft batch. 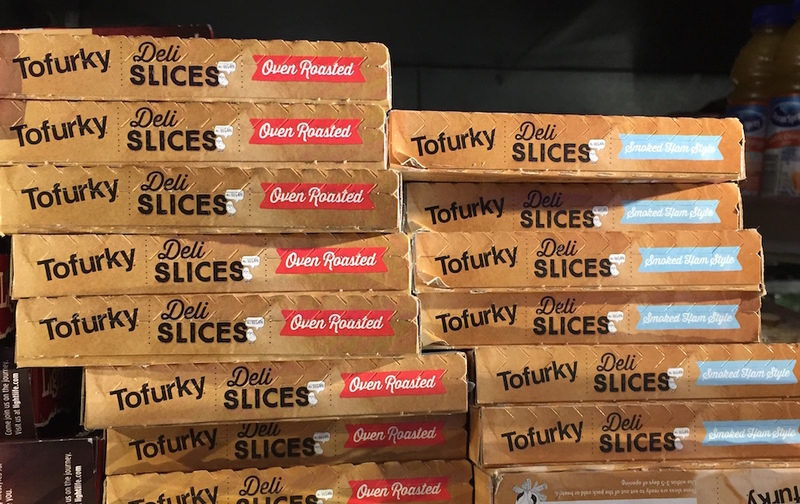 In addition to selling organic vegan french bread at the marketplace, they also sell things you would need to make your own sandwiches, including these tofurkey deli slices. 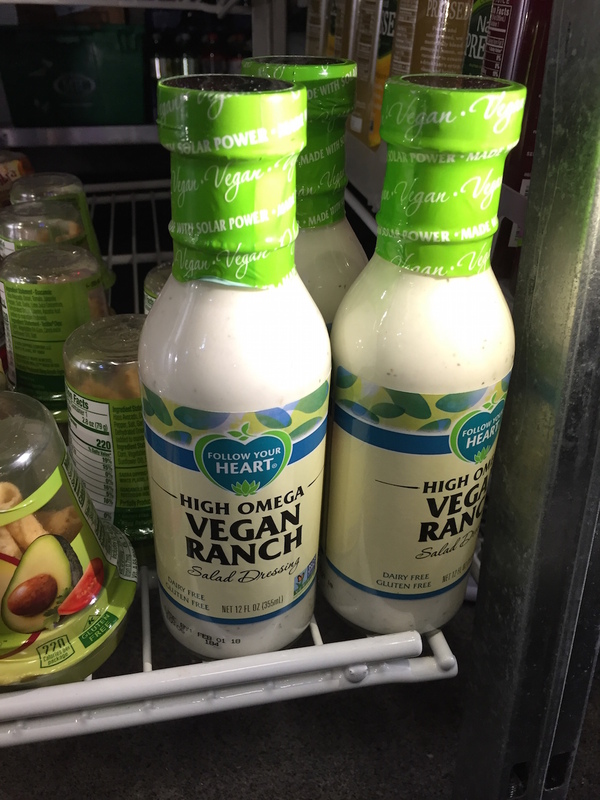 Since italian dressing is the only vegan option on the salad bar, you can get a bottle of ranch from this store to add to your salads you get from the dining hall if you like a little dressing variety. 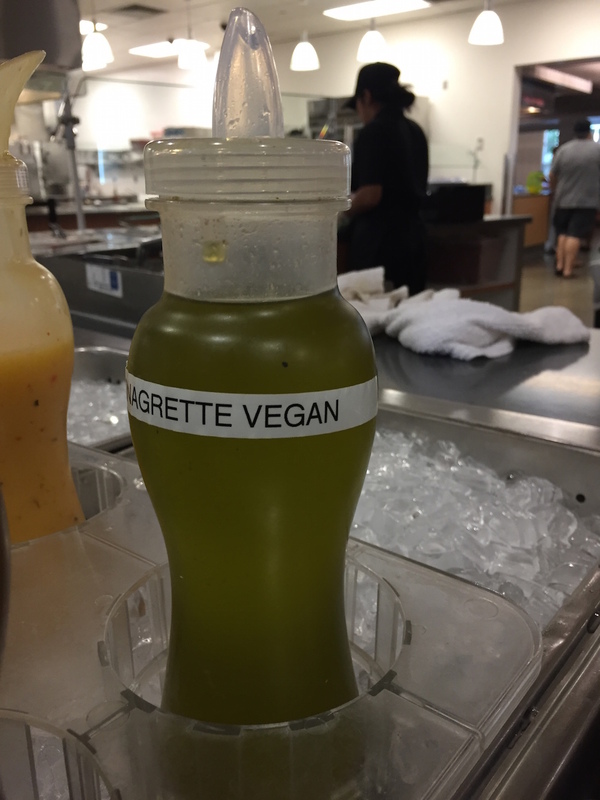 I was expecting there to be more vegan options in the dining hall, but we went there on a Saturday night so maybe during the weekdays they have more options. The employee in the pizza section did tell me that they “sometimes” have vegan pizza dough but they didn’t have any that day. So, I opted for the salad bar, which even had a vegan salad dressing on it. 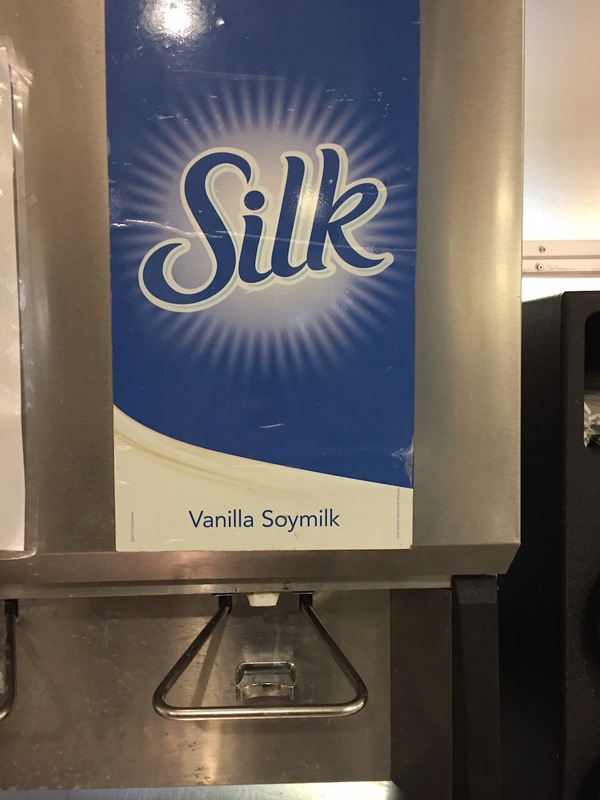 Next to the cereal bar, they had soymilk on tap! And if soymilk isn’t your thing, they also have mini almond milks. 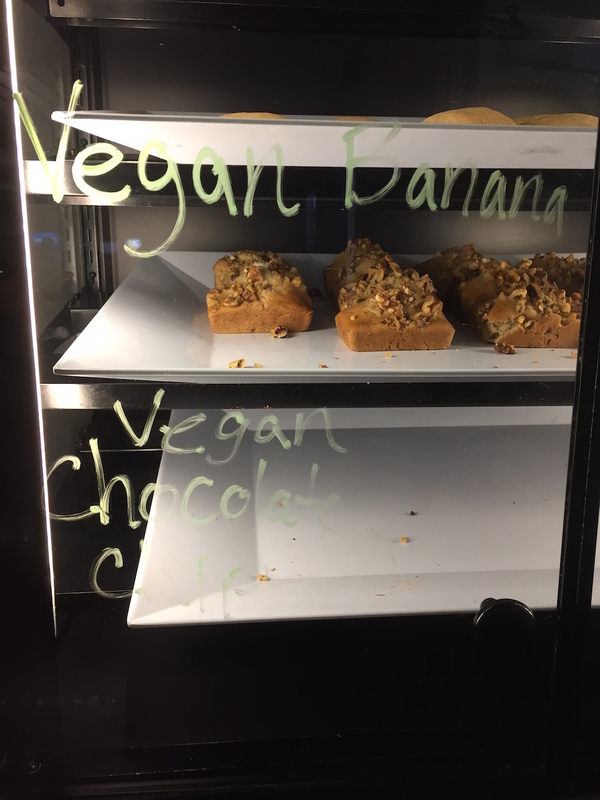 Right by the registers, there’s a pastry case with vegan pastries where I got a mini banana bread loaf and a chocolate chip cookie.